2.) 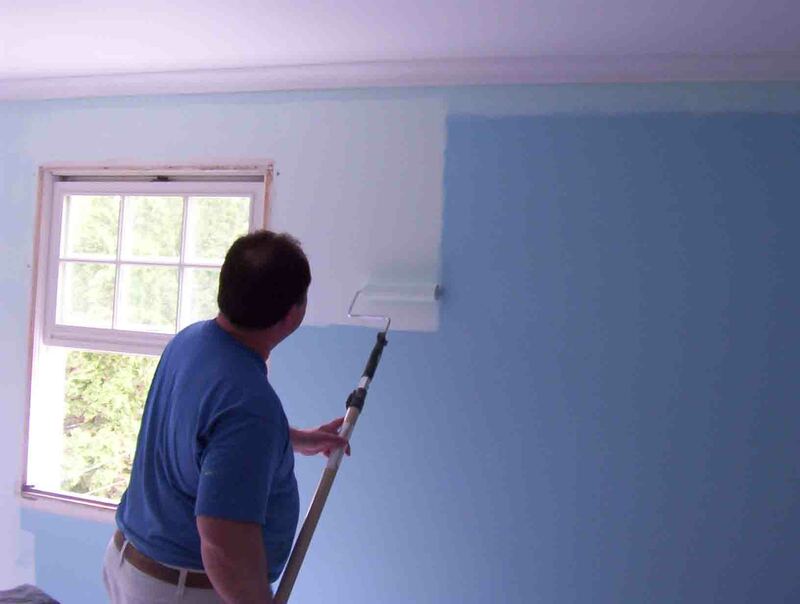 Don’t worry about doing any other prep work until you get a first coat or primary coat of paint on the walls. Go ahead and cut in and roll out a first coat. 3.) Dry the walls quickly with a small fan in the room. Wait 3 – 4 hours to add the 2nd or final coat of paint. 4.) While waiting to re-coat fix all the drywall blems using quick dry drywall joint compound. Once drywall repairs are dry sponge sand them and re-coat with more drywall compound if needed. 5.) Once all repairs are finished roll over them with your paint roller to get a primary coat on them. 6.) Now you simply cut in again and roll out your final coat of paint and you are done! 7.) One final note, always use quality shed resistant roller covers and quality paints and primers and you are guaranteed to be happy with your paint job. For more wall painting techniques click here.